Africa should ratify the Economic Partnership Agreements (EPAs), make use of their flexibilities, if necessary, and hold the EU’s feet to the fire on the implementation of the EPA’s development component. The Economic Partnership Agreements (EPAs) are trade deals between Europe and regions in Africa, the Caribbean and the Pacific, designed to end preferential treatment of former European colonies. The final regional EPA negotiations were only concluded in 2014. Nearly five years on, what is the situation regarding the implementation of the African EPAs? There are five African regional EPAs, namely West Africa (ECOWAS), Central Africa, Eastern and Southern Africa (ESA), East African Community (EAC) and Southern African Development Community (SADC). Each requires the signature of all the contracting parties in each region before it can be ratified. Without the endorsement of all the regional parties to an EPA, it is, legally, effectively “dead” as it will not enter into force. A recent European Commission update shows that none of the African EPAs has been signed by all the regional parties to them. Curiously, instead of bolstering regional integration, the African EPAs are creating regional tensions. In West Africa, Ghana, which has signed the agreement, is disappointed that Nigeria has not. 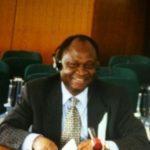 Ghana’s trade minister, John Kyerematen, recently noted that, “The agreement would be frustrated if Nigeria refused to sign”. In the East African Community, a summit to discuss the EPA was attended by only two presidents. Kenya is frustrated that Tanzania and a few others are refusing to sign. The EU-West Africa EPA negotiations were concluded on 6 February 2014, and the agreement has been signed by 14 of the region’s 16 countries, except Nigeria and The Gambia. The visceral opposition of Nigeria, West Africa’s economic powerhouse, makes it arguably the one most in trouble and therefore an interesting one to examine. The EU’s obligations under the EPA cover tariff, non-tariff and development-supporting commitments. On tariffs, the agreement says that products “originating in” West Africa “shall be imported into the EU free of customs duties”. Although West Africa’s LDCs (13 out of the 16 countries) currently benefit from the EU’s “Everything-But-Arms” preference scheme, signing the EPA would ensure that this becomes a binding treaty obligation rather than a best endeavours commitment. The agreement also relaxes the usually stringent Rules of Origin, allowing West African countries to use materials sourced from other countries in their production without losing free access to the EU. One of the main challenges African countries face in gaining access to the EU market is the EU’s tough quality and packaging requirements. For instance, in 2016, the EU banned 26 Nigerian food products on health and safety grounds. However, under the EPA, the EU undertakes to provide financial and technical support to help West African exporters meet its Sanitary and Phytosanitary (SPS) standards, potentially removing a major non-tariff barrier. Furthermore, the EU undertakes to provide funding for projects linked to trade, industry, energy, and transport infrastructure in West Africa, as well as funding to cover the fiscal impact of implementing the agreement for the period of tariff dismantling. Specifically, it pledged €6.5 billion from 2015 to 2020 and similar amounts until 2035, to achieve the EPA development objectives. Moreover, it undertakes to help West Africa raise additional funding for the development aspect of the agreement from other donors. The EPA requires the West African party to “reduce and eliminate customs duties” applicable to certain products “originating in the EU”. However, the tariff elimination is gradual, to be completed over 20 years, between 2015 and 2035. Furthermore, only 75% of EU exports to West Africa would be subject to the zero tariff commitment. In other words, 25% of West Africa’s tariff lines, classified as “sensitive products”, are excluded from the tariff dismantling obligation. The baseline tariffs, from which progressive elimination is required, reflect the existing ECOWAS Common External Tariffs (CETs). Africa’s criticisms of the EPAs: Are they justified? The main criticism in Africa is that the EPAs could lead to the continent being flooded with “cheap EU exports”, and losing the “policy space” for industrialisation. But this criticism is hardly supported by the available evidence. Take the EU-West Africa EPA. Nigeria argues that the EPA would destroy its manufacturing base and its drive towards industrialisation. However, according to a World Bank study, once the EU-West Africa EPA has been fully implemented, it would only lead to a moderate reduction in overall tariff protection from 11.3% to 9.2%, and thus a limited increase in imports between 0.8% and 1.8%. The EPAs also have flexibilities regarding infant industries (new industries incapable of competing with foreign competition) and provisions for anti-dumping and subsidy countervailing measures. Adam Smith said: “No nation is ever rich by the exploitation of the crude produce of the soil but the exportation of manufactures and services”. But Africa has major challenges to industrialisation. The United Nations Industrial Development Organisation (UNIDO) calls them “the 3Cs”, namely, inadequate competitiveness of supply capacity, conformity with international standards, and connectivity to markets. If fully implemented, the EPAs can hugely help Africa tackle these challenges. Simply put, Africa cannot industrialise without guaranteed export markets; no country has ever done so – not Britain during the first Industrial Revolution, not China today. But in a reciprocal negotiation setting, a party cannot be a value-claimer if it is not willing to be a value-creator. As Emily Jones puts it in her book, Negotiating Against the Odds, “market access concessions are the currency of trade negotiations”. Africa complains that the EPAs would lead to the continent being flooded with “cheap EU exports”, but China is flooding Africa with cheap exports without guaranteeing access to its market. By contrast, the EPAs give Africa a legally guaranteed access to EU markets.